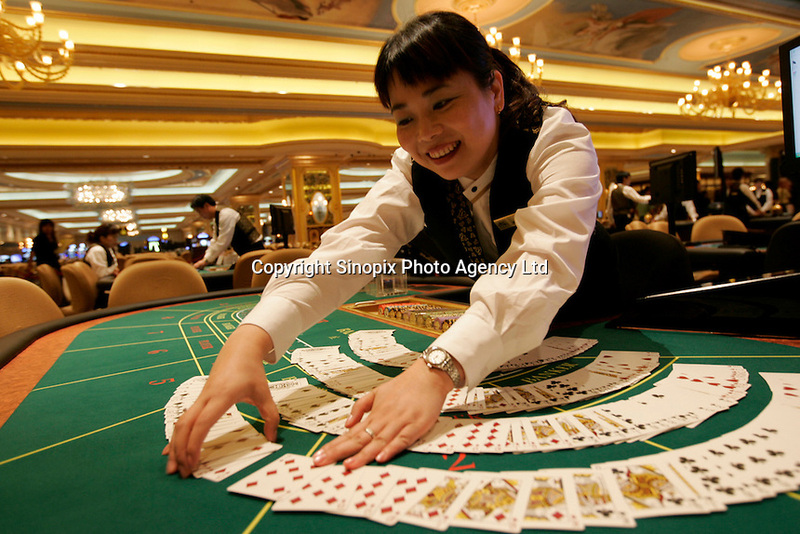 A dealer gathers in gaming chips at the newly opened 'Treasure Level' at the Sands Casino in Macao. By adding a further 273 gaming tables over more than 64,000 square feet of space on three floors, the casino owned and operated by the Las Vegas Sands Corporation today increased it's size by 58%. This increase makes it now largest casino in the world. The casino now accommodates a total of 740 gaming tables and 1,254 slot machines.